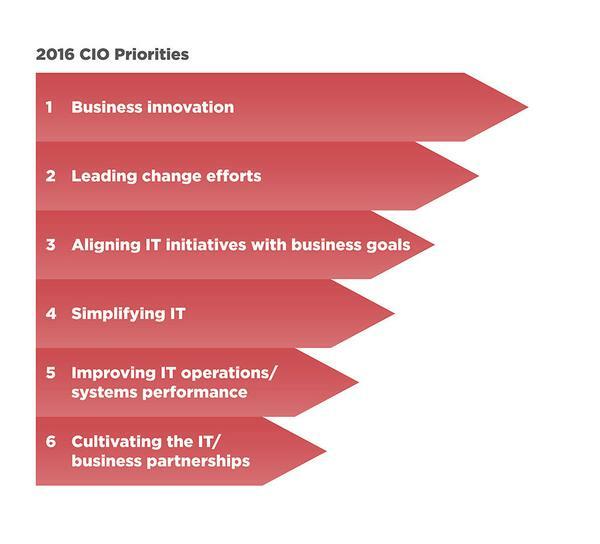 This year sees CIOs place innovation at the top of this year’s strategic priorities. Aligning initiatives with business goals and improving IT operations/systems performance are still on the agenda, but innovation takes precedence. It’s not just the CIO prioritising innovation – business innovation also tops the agenda for a growing number of executive teams. The recognition that ideas are being generated across the workforce is on the increase. And businesses are now looking at getting those ideas heard, selected and implemented. As a result, more and more CIOs are being brought into innovation teams to fulfill the technology aspect of innovation programmes. Digitisation of the workplace – The way people communicate has evolved, relying heavily on digital technology and this is not set to change anytime soon. Businesses are having to adapt and adopt the technologies that are best suited to fulfill the needs of a changing work environment. Big data and analytics – Customer behaviour, transactional information, processes and more, all generating a mass of data. Creating value and insights from this volume of information requires the right technology to collate, slice and analyse. The key to finding the right tech tools for this process sits with the CIO. Innovation in data management is very much the remit of CIOs and their teams. An innovative culture requires collaboration – Most large businesses feature a global or scattered workforce and with the rise of remote working, CIOs are the facilitators of collaborative working. There is a plethora of technologies that enable collaboration. However, security, flexibility and compatibility with existing systems are important requirements. As businesses strive to become innovation-ready, IT teams are forming part of broader teams in organisations on projects including big data, innovation programmes and collaboration initiatives. These broader teams will increasingly consist of diverse functions including HR, operations, internal communications, business transformation, etc. As well as adapting team roles, CIOs are tasked with selecting the right technology to enable innovation, but are also increasingly looking for the right technology partner, as more and more of this technology requires outside expertise. Today’s CIO is not only the strategic technology advisor, but also a key component of business change and transformation.